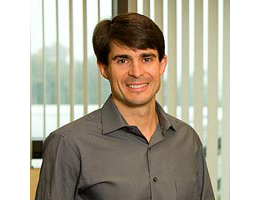 Paul B. Manning is the founder, president, and chief executive officer of PBM Products, LLC, the first company to launch private label and store brand infant formulas in the United States. 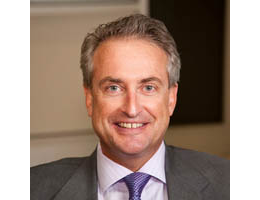 Before forming PBM in 1997, Mr. Manning held key sales and marketing positions with leading pharmaceutical companies and founded several companies, including Able Laboratories and Manfam, Inc., two companies that developed and distributed prescription and over-the-counter products to major chains in the United States. Aside from his entrepreneurial work, Mr. Manning created the Islet Replacement Research Foundation, a voluntary nonprofit grant maker and supporter of diabetes research. The goal of the foundation is to bring together dedicated scientists who support ambitious research projects to find a cure for diabetes and eradicate insulin dependence. To date PBM has donated several million dollars to diabetes research with the aim of giving everyone with diabetes the opportunity to live a life free from the constraints of insulin management. Recently Mr. Manning changed the name of his nonprofit organization to reflect his personal and corporate mission: Focus to Cure Diabetes Foundation. In 2002, Mr. Manning was named Virginia Entrepreneur of the Year by Ernst & Young. He is a graduate of the University of Massachusetts, where he earned a BS in microbiology. George Church is currently Professor of Genetics at Harvard Medical School and Professor of Health Sciences & Technology at MIT. With Walter Gilbert he developed the first direct genomic sequencing method in 1984 and helped initiate the Human Genome Project while he was a Research Scientist at newly-formed Biogen Inc. He invented the broadly-applied concepts of molecular multiplexing and tags, homologous recombination methods, and DNA array synthesizers. Technology transfer of automated sequencing & software to Genome Therapeutics Corp. resulted in the first commercial genome sequence (the human pathogen, H. pylori) in 1994. He has initiated the Personal Genome Project (PGP) in January 2006 and research on synthetic biology. He is director of the US Department of Energy Center on Bioenergy at Harvard & MIT and director of the National Institutes of Health (NHGRI) Center of Excellence in Genomic Science at Harvard, MIT & Washington University. 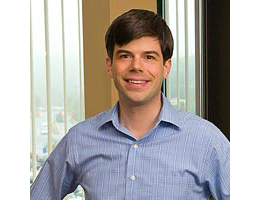 He has been advisor to 22 companies, most recently co-founding (with Joseph Jacobson, Jay Keasling, and Drew Endy) Codon Devices, Inc., a biotech startup aiming to commercialize synthetic biology and LS9, a biofuels company. He is a senior editor for Nature EMBO Molecular Systems Biology.